In 2003 whilst delivering a leadership exercise on the battlefield of Waterloo, Graeme Cooper asked a group of junior officers how they would take Mercer’s Ridge if occupied by a modern day enemy, using today’s equipment, culture and processes. All the syndicates in briefing their solutions highlighted the essential need for the human aspects of leadership, courage, belief and trust. These same requirements are the same for business today… the concept of using the battlefield as a platform for experiential learning was formed. 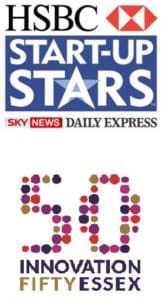 In 2007, for the HSBC Award that same year we managed to deliver our first event in the Great War trenches to 48 graduates from HSBC’s Talent Management Pool. Later that year Kate Silverton the BBC television presenter hosted the HSBC Start-Up Awards at the Lancaster Gate Hotel. Prior to the presentation of the awards she addressed the 400 finalists. ‘If any of you here tonight believe that you have a truly unique business, then you may interrupt my dinner with your business card’. What followed was amazing! Someone from nearly every business present rushed to form a queue at Kate’s table. By the time coffee was being served the queue had disappeared so Graeme Cooper, believing that he had a truly unique business, approached her to give her his business card. Kate asked him for a short description of Corporate Battlefields. As she was sitting down Graeme thought it prudent to kneel so he wasn’t talking down to her. Kate thanked Graeme for his ‘elevator pitch’ and placed his card against her wine bottle along with two others … As Graeme stood up to leave he noticed under her table were a multitude of business cards. Following dinner and before the Awards Kate said she thought that there were three unique businesses in the room and from memory she briefed everyone. She briefed Corporate Battlefields last and almost word for word from Graeme’s ‘elevator’. At the end of the evening a gentleman approached Graeme to say that he found our business concept intriguing and wanted to know more. He was Phil Jones the MD of Brother UK. Sometime later we led his 60 strong sales and marketing team to the Battlefield of Naseby. ‘Still hands down the best day’s training my team has ever had’ was his post event comment. Corporate Battlefields has now delivered over 50 events and in 2015 established a team in Kuala Lumpur to deliver Asia Pacific programmes. In the autumn of 2016, Corporate Battlefields made the top 50 companies in Essex for innovation by Essex County Council, in conjunction with Anglia Ruskin University. 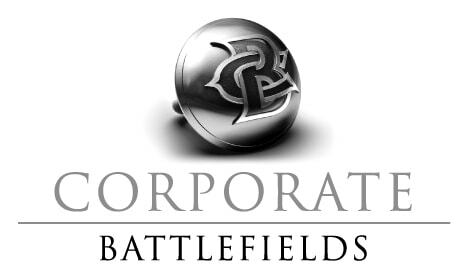 The Corporate Battlefields logo and strapline, designed by Sir Martin Sorrell’s WPP, is a button symbolic of the link between the uniform minds and human aspects of leadership that exist both on the battlefield and in business. The logo word ‘CORPORATE’ is larger than the word ‘BATTLEFIELDS’ to emphasise that our Event outcomes are focused on our client’s business challenges and outcome requirements. The battlefield is the platform not the purpose.